The Collected Interior: Willow House Giveaway! Right now Willow house is having a Very Merry Markdown event where you can save 50% off any item $40 and under when you spend $39.96...love that! And did you know Willow House has an On-line Outlet with fabulous deals? Yup, click here to check it out, and if you purchase anything...please enter "Finding Fabulous" in the Host Section. Okay, for our Giveaway... the fabulous Willow House Consultant - Bridget Price, is generously offering one Finding Fabulous reader a chance to win a $30 gift certificate to spend any way you like! 1. If you haven't yet...follow Finding Fabulous over there to the right, and leave a comment! 2. 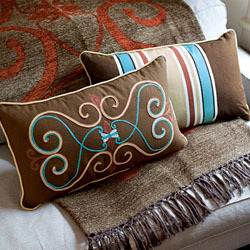 Visit the Willow House On-line Catalogue and tell us which item is your favorite...and leave another comment! 3. "Like" Willow House with Bridget on Facebook...and leave a comment! So we've got 3 comments and 3 entries....giving you 3 chances to win! This Giveaway will be open for one full week and will end Tuesday, December 14th at 12:00 noon EST. 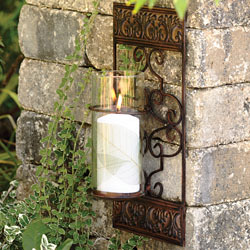 The Napa Sconce is a real cutie!! I love the Galveston Memo Board! I follow Finding Fabulous. Love it! Love that Framework Urn. Fabulous! I follow Finding Fabulous in my google reader! 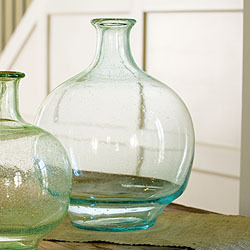 I'd love one of those beautiful glass jar vases! I also "like" Willow House with Bridget on Facebook! I like Willow House on Facebook!!! There are so many wonderful items to choose from, but the Napa Cookbook Holder has caught my eye!!! I love the jolly holiday stockings! Thanks Girl for hosting this giveaway for me!! I'm a follower! Once again, you have something fabulous! Thanks for doing this giveaway! I love the Carrigan Wine stopers, and so much more! I am a loving follower of Finding Fabulous! I love the Avalon Accent Trees from the catalogue for Holiday Decor!! Love the holly holly table runner! seriouslly you want me to pick just ONE fav! I cant pick just one! love the sconces, the vases the pillows! Love the online outlet. Hoping to get some the silverware I have been oohing and aahing over for a awhile now. Love the napa vinagrette set, and the bucket and tray serve set. and so much more!!!!!! Hi! Thank you so much for the great giveaway opportunity! I've been a happy FF follower for quite a while! On the Willow House site, I like the Morningside Caddy! I liked WH w Bridget on FB! Thanks again! The Avery Decorative Birdhouse is my fave!!! I liek the Double Dish Casserole Stand. I LOVE the Ingleside Luminaries. I keep picturing one on my shelf at home, and the name reminds me of Anna of Green Gables. I would love to have the Tuscan Goblets for Christmas. Have you seen the hurricane in the outlet for only $17!!?? That's definitely what I would spend my gift card on. Love ruffles on everything, including bowls! i am a finding fabulous follower! how can i pick one thing to like! i'm going to go ahead and say the galveston memo board since i was just thinking to myself yesterday i need one! I have posted my first giveaway on my blog and would like if you and your followers could come enter. It is a gift card so I think it would be useful to all. I like the Gramercy Double Dish Stand. 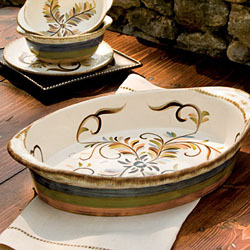 Great things but one of my favorite is the Provence Ruffled Bowl. I really like the Berry and Bow Door Bucket. Thank you for the chance to win! Loving the Florentine Large Floral Bucket.... Deee.Lish. It's fabulous to be a follower! I've had my eye on the Bordeaux Trivets. I am definitely a follower!! I love that blue bottle vase!! Gorgeous! I am a follower and really enjoy this blog! The Mary Jane Bottleneck vases are my favorite!! I love the Marisol Wall Clock. I'm a followwer of Finding Fabulous. What would I like from their website? Well, I can't pick just one! I like the Double Dish Casserole Stand and the Covered Compote and the the Smart Chopper. So many nice things. And the prices are so good. Glad you are offering a great giveaway! PLease don't add me in the giveaway, just wanted to tell your readers how awesome Willow House is! Long time follower of you! I like you on FB! My friends will too! I love the Napa Tray! love the door bucket... would be fun to use to decorate for each season! like and left a comment on Willow house's face book page. i recieve finding fabulous in my e mail.... love it! like willow house on fb too ! I'm a follower via GFC! THANKS FOR THIS AWESOME GIVEAWAY! 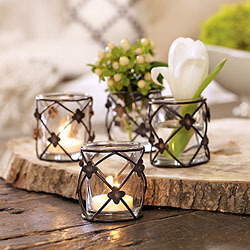 I really would love to have the signature Candles: Autumn Trio. Looks great! Thanks! I follow on facebook! Thuy T.
My fav product would be Italian Planter Set. I think this would be beautiful in on a window sill with herbs in it! What a great giveaway! I am a foloower of yours! I follow the lovely Willow house on Facebook!